The revolution is happening now, and it is all thanks to you. In less than a year, three million pioneers joined us on our journey to see more great movies at an unbeatable price. And we want to thank you, our community, for your steadfast support of our company and growth. In the spirit of innovation and growth, we are now announcing the next phase in the evolution of our product: Demand Pricing. In the coming weeks, we will roll out three different upgrades to our base $9.95 service for our members. Bring-A-Guest: MoviePass members will be able to purchase extra tickets to a showing of a movie right through the MoviePass app, so that you can seamlessly reserve seats for you and your friends (at e-ticketing partner theaters) to watch a film even if they aren’t MoviePass subscribers. 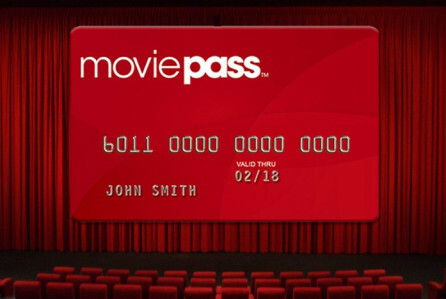 As a benefit, if your friend signs up for MoviePass within 24 hours, we’ll refund the entire cost of the ticket! Peak Pricing: MoviePass is committed to maintaining our low monthly price as we continue to grow rapidly. Rather than raise our prices or limit viewings, our plan has been to develop a new variable pricing system based on the demand for particular showtimes. Under this plan, if the combination of demand for a title, date or part of day is higher, subscribers may be asked to pay a small additional fee depending on the level of demand. You can avoid this peak surcharge by choosing an alternative date or film. We will also soon give subscribers one “peak pass” per month, allowing them to waive a Peak Price surcharge once per month. Annual and Quarterly subscribers will not incur peak pricing until their current subscription term ends and then renews. Premium Showings: MoviePass members on any plan will soon be able to access RealD 3D, IMAX 2D or 3D, and other Premium Large Format showings of any film for an additional upgrade fee. These features are being tested currently and will slowly roll out to all our members over the next several weeks. Our aim is to create the most flexible and cost-efficient product, so that we don’t have to simply raise the price on the subscription. We appreciate your flexibility as we evolve our service to keep MoviePass at a low cost. We can’t express how much we value all of you for being part of that vision.